The IBMA will present its second annual IBMA Bluegrass Film Festival during World of Bluegrass Week September 29-October 3 in Raleigh, North Carolina this year. The IBMA Film Festival consists of two Feature Films, screened during the IBMA’s World of Bluegrass Business Conference (Tues.-Thurs. ), and seven Festival Films, screened during the Wide Open Bluegrass Festival (Fri.-Sat.). Featured film screenings will include an introduction and post-screening Q&A session with the filmmaker or a representative during the Business Conference. All nine films (feature and festival) will be shown twice during the weekend. Revival: A documentary tribute to Sam Bush in a special tribute which explores his pioneering journey as the “Father of Newgrass Music”. Give Me the Banjo: An exploration of the history of the 5-String Banjo narrated by Steve Martin and featuring such banjo masters as Pete Seeger, Earl Scruggs and Bela Fleck The film goes beyond the stereotypes and delves into the musical odyssey of the banjo, from its African roots to the present day. A Kentucky Treasure: The Osborne Brothers Story is a chronological video biography of Bobby and Sonny Osborne as told in their own word through many hours of interviews and music clips. 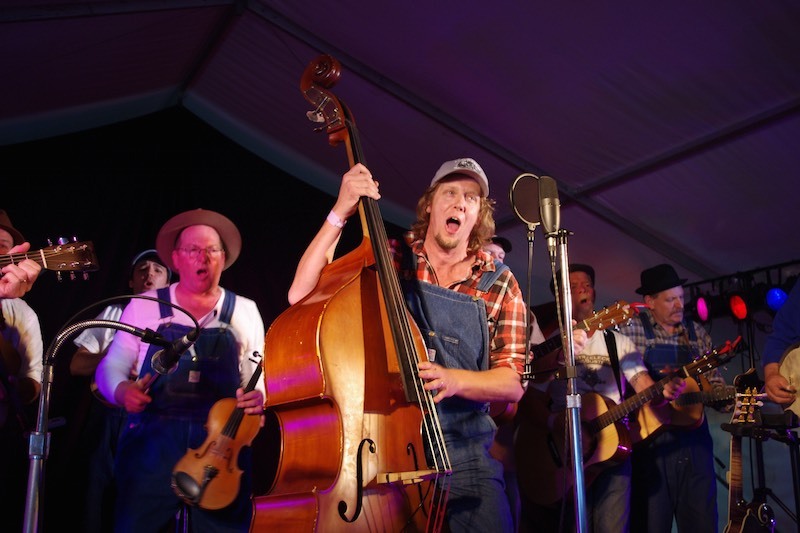 There are several other films of note however one curiosity that appears in the is a documentary made in Australia In the heart of coal country in rural south-east Australia, a group of 14 men gather once a month to play old-time and bluegrass music at a local hotel in Yinnar. In the wake of the worst natural disaster in the country’s history, their music takes on a new meaning for the people of the picturesque Strzelecki Ranges, strengthening bonds and galvanizing a devastated community.